September is here! With the kids going back to school, the weather cooling down, and trips to the apple orchard planned, what better way to celebrate the beauty of September than with a bouquet of fresh apples? 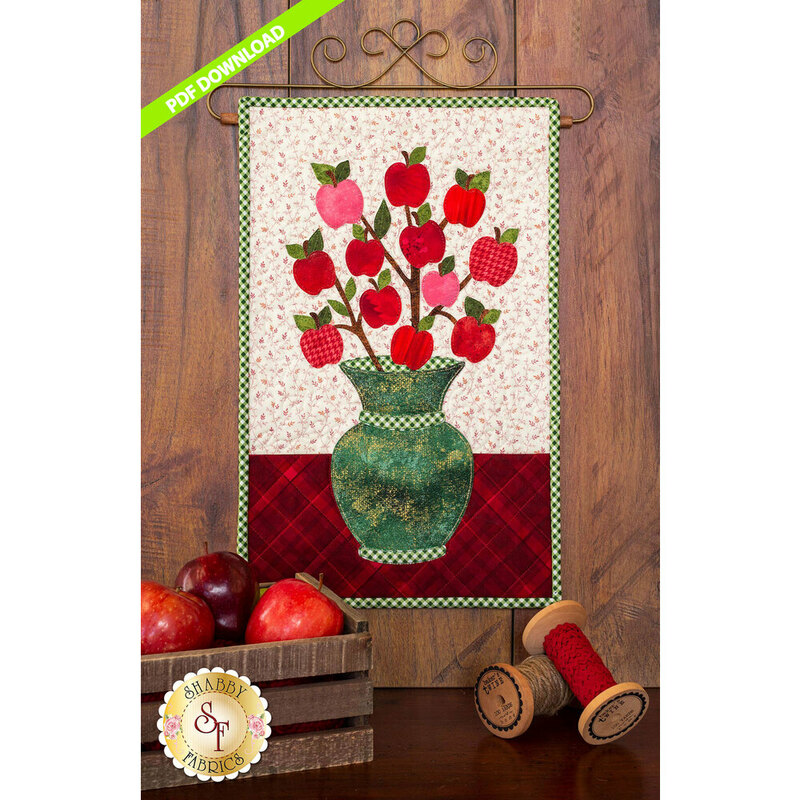 This wall hanging welcomes the fall season with a delightful selection of vibrant red, green and pink fabrics.